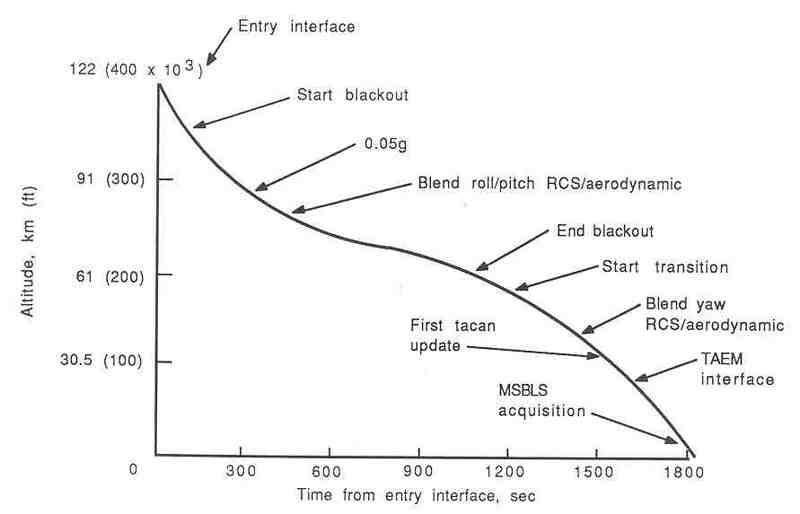 What would be survivable vertical speed upon reentry with the shuttle. I am flying it manually,from launch to deorbit,not using aerobrake MFD. Is keeping vertical speed between -49 to -70 survivable for the shuttle? Hm... that seems fine. In real life, the shuttle has a constant AOA of 40, and its vertical speed varies from around 100 to zero I think. But if you keep it within those limits you're good to go. Thanks for the info markl316. No problem. You should try AutoFCS for a reentry autopilot for the shuttle, it works very, very nicely and will even autoland it if you want. i cannot find this AutoFCS at OH. if it is included in the ShuttleFleet, how do i activate the autoreentry? i've seen that the OPS display just gives you some values of an entry corrido you must stay in to achieve a good deorbit, and has DAP. is it all or other functionalities i do not know? Found this in the other thread here. As I am very good with computers,how hard is to configure these files? I decide to try the Auto FCS after too many crashes in Mexico and Ohio by doing the reentry manually.I find the key Ctrl+F4 opens the window where I can choose Auto FCS. I have the landing site picked on the map MFD and also in the AFCS window.Shuttle performs deorbit burn and sets the pitch. I stow the antenna (information on top left part of the screen disapear) close the bay door and burn in the atmo. I am missing something? Just stow the Antenna an close the Payload Bay before opening AFCS an it should work. Thanks very much astrosammy.That did the trick. Markl316,this autopilot is really good,landed nicely at night.Thanks. There is an updated AFCS ini file on OH which is customized for Shuttle Fleet. Thank you guys for all the good tips and info. Can't wait to get the joystick, I find my laptop keyboard too rough when trying to control shuttle's atmospheric descent. can anyone tell me where i can get deorbit tutorial/playback with on screen notes for Default deltaglider or DGIV or space shuttle (shuttle fleet 4.0.1) i tried on orbithangar but it is not working: error, terminating....see orbiter.log. Both the Delta Glider IV and the Shuttle Fleet (through the use of AutoFCS add-on) have automatic re-entry auto pilots. 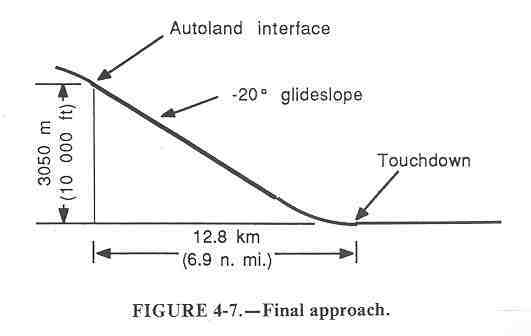 First you should align plane with the landing site (or wait until your next orbit crosses the landing site.) Read the docs on how to do that. Most spacecraft need to retro burn near Australia for landing in the US. There is an ExtendedMAP MFD which allows you to see your path across the Earth many orbits in advance. On DG when returning to an Earth Base, turn retrograde using the default AP and burn main engines until you see the trajectory line on the MAP MFD turn orange or end over the landing site. Turn prograde and activate the DG Reentry AP. On the Shuttle Fleet, the AP will do everything and land automatically when AutoFCS is activated through the External MFD feature of Orbiter. You need to activate AFCS leaving India/Asia. The burn will occur by the time you each the Indian Ocean just West of Australia. Learn how to control the ship manually by watching what the reentry APs do. You will understand better if you activate the GPSMFD (Shuttle Fleet) and observe the displays. Orbiter crashes when loading scenarios is usually caused by the add-on not being fully or properly installed and/or add-ons on which the desired add-on depends are not fully installed. The Shuttle Fleet has installation documents in the root of Orbiter with links to required add-ons. Be aware sometimes these links go away or get substituted with later versions. OrbiterDiagnostic stand alone program can also list typical problems with Orbiter and scenarios, but does not necessarily instruct you on how to correct the problem. Some scenarios may never work and should just be deleted or ignored. Add-ons and Orbiter versions can cause Orbiter to behave much differently than when the add-on was initially created and tested.